Formed in 2014 in the 95, Out My Eyes (Metalcore, Paris) made its debut in 2015 in Paris theaters alongside Novelists and Attila. Out propose a powerful electro-metalcore, with stronger riffs, trap & rap . 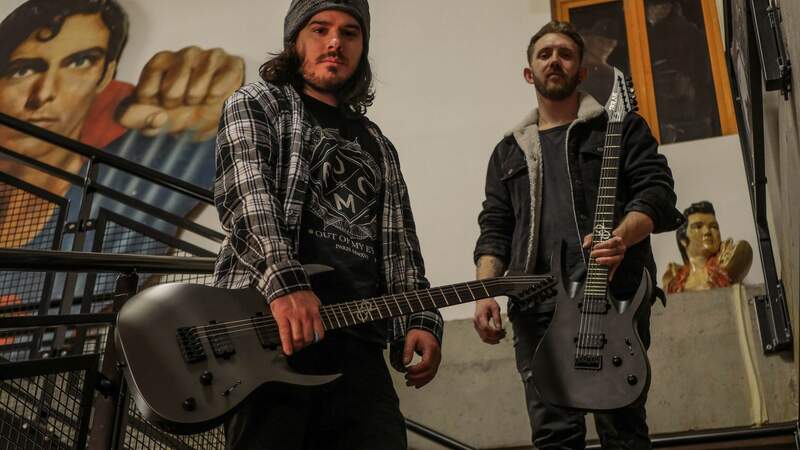 Quickly spotted and greatly identified to the French metalcore scene, the quartet gained visibility notably as a support europe tour of Shoot The Girl First during the summer 2016, and first part of Bad Omens in france and Switzerland. Strong of his stage experiences, Out Of My Eyes released in January 2018 their first album “Concept” under the label Imminence Records, that they were able to defend with big name of Metalcore notably in Paris with Crystal Lake, and Russia in April 2018 with Of Mice & Men. The band is actually on studio, and will be release some new songs. You can play em along for few hours with no single issue, the neckshape is amazing and really confortable! They sound agressive and so good that for us. For modern metal players, they are perfect guitars. Just out of the box we can take them and plug them in and play straight away. Powerful and precise, that’s their consistency.